This ground floor apartment near Clapham Common has successfully added much needed space with an elegant orangery extension. It's clean, modern look beautifully blends with its period surroundings. 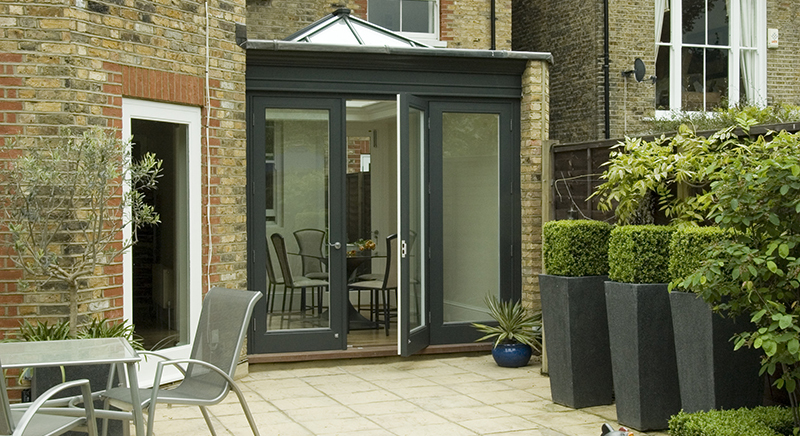 One of the first things you’ll notice about this orangery extension, is that it’s cool, dark grey exterior adds to the contemporary look and even complements the tall grey resin planters that stand outside. 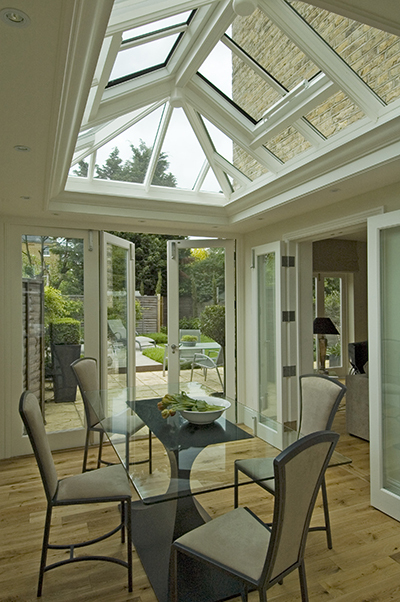 The made to measure roof lantern measuring 2m x 3m was deliberately designed with no external ornamentation in order to successfully blend with the contemporary style of the orangery. Built as a dining room to be accessed off the sitting room, the entire front elevation of the orangery opens onto the newly landscaped garden via a 3 door set of bi-fold doors. Above the full height glazed doors runs the 'Berrington' Entablature. This architectural detail enhances an otherwise plain masonry extension adding to the overall elegance of the design. The consistent timber oak floor that runs in both the sitting room and into the orangery extension helps create the feeling of one uniformed space. 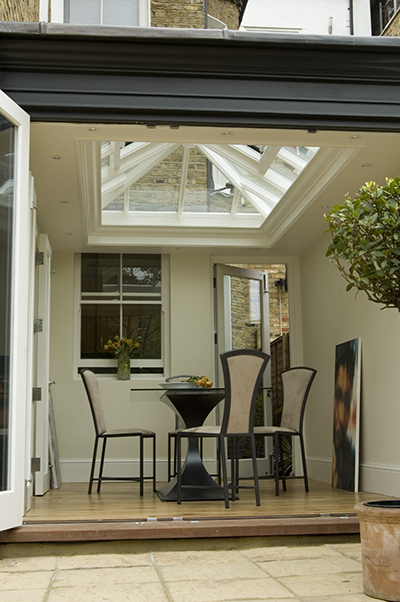 Underfloor heating ensures that this modern, urban space will be enjoyed all year round!